Moving to Cockfosters, EN4 | Top Removal Services - Call Us Today! 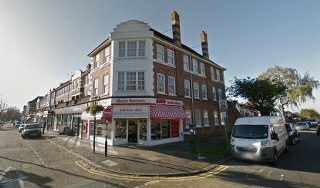 Are you moving to Cockfosters and looking for a removals company that will make the move less stressful for your family? You can stop your search now because you have found Moving Service. We have been an established removals service in Cockfosters, EN4 for many years now and have grown from strength to strength in the past years. Our accumulated experience has enabled us to provide a personal and one-stop solution to all your moving needs. Whether you are a mostly do-it-yourself kind of person when it comes to packing or need the assistance of an experienced crew who has prior experience in removals and delivery, we have service packages that will work best for your timeline, budget and relocation purpose. So why don’t you call us on 020 8746 4402 to learn more about how we can help you move to Cockfosters? The area is a North London suburb that is located partly in the London Borough of Enfield and partly in the London Borough of Barnet. It is connected to the city by the Piccadilly line on the Underground railways network and a number of buses also serve the area. The residential areas here have a number of upper middle class detached houses which are replete with patches of open green lands. The most famous site in town is the Trent County Park, which covers around 320 hectares and is a popular tourist attraction with the treetop adventure park GoApe where you can go on safe but exploratory adventures. Other than that, you will always find people jogging, cycling, running or walking their dogs on the ground at any time of the day. Besides that, the area has a famous theatre house called ‘The Chickenshed’ that produces many theatrical and musical performances every year and provide abundant leisure and social opportunities to the locals. With a number of office blocks cropping up in the neighbourhood, the area can boast of a suburban life with close connectivity to the main city. The Greek and Cypriot communities in the area also bring a number of wonderful eateries to the region. As an affluent and quiet area, we are that sure Cockfosters will offer you the relaxing life that you have been looking forward to. Let’s begin by enjoying a trouble-free, relaxed move to Cockfosters, EN4 with the best removals service Moving Service. Whether you are moving here from within the country or from outside, whether you want to deliver only a few items or move a six bedrooms house, we have the expertise and experience in handling your move professionally, safely and securely. Whether it is packing supplies you need or a man with a van service, contact us and we will help you form accurate estimates and provide deals that are hard to beat. At Moving Service, we know we are dealing not just dealing with possessions, we are dealing with people. This is why we treat your belongings with as much respect and care as you would. Our moving crew is expertly trained in handling all kinds of moving and delivery and has access to the latest technology to help make the move safe and accident-free. Our Cockfosters removal vans are fitted with GPS technology so that we can monitor them in transit. We even provide an assessment service to advise you on how to best organise the move and will go as far as to remove the discarded packing for you post-delivery. Our services are unmatched and always exceed our clients’ expectations. So join our network of happy customers by giving us a call on 020 8746 4402. Finding a good house mover can be tricky. I did a search and settled on Moving Service. Their movers did their job well, and my move to Cockfosters EN4 went on without a hitch.